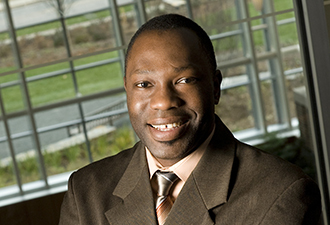 Guy-Uriel Charles joined the Duke Law faculty in 2009. He is currently the Edward and Ellen Schwarzman Professor of Law at Duke Law School and the Bennett Boskey Visiting Professor of Law at Harvard Law School. He is the co-director, with Mitu Gulati, of the Duke Law Center on Law, Race and Politics. He teaches and writes about constitutional law, election law, campaign finance, redistricting, politics, and race. In 2016, he received the Law School’s Distinguished Teaching Award. He has published over 30 articles in journals including the Harvard Law Review, Constitutional Commentary, The Cornell Law Review, The Michigan Law Review, The Michigan Journal of Race and Law, The Georgetown Law Journal, The Journal of Politics, The California Law Review, The North Carolina Law Review, and others. He is the co-athor of two leading casebooks and two edited volumes. He has been a visiting professor at Harvard, Berkeley, Georgetown, Virginia, and Columbia law schools. Professor Charles received his JD from the University of Michigan Law School and clerked for The Honorable Damon J. Keith of the United States Court of Appeals for the Sixth Circuit. While at the University of Michigan, he was among a group of students who founded the Michigan Journal of Race & Law and he served as the Journal’s first editor-in-chief. From 1995-2000, he was a graduate student in political science at the University of Michigan. He is a past member of the National Research Commission on Elections and Voting and the Century Foundation Working Group on Election Reform. Prior to Duke, Professor Charles taught at the University of Minnesota Law School from 2000-2009 where he also held the Russell M. and Elizabeth M. Bennett Professor of Law. From 2006-2008, he served as the interim co-dean at the University of Minnesota Law School. At Minnesota, he was named the Stanley V. Kinyon Teacher of the Year for 2002-2003.